If you don’t have much time and you would like to visit this wonder, come and take advantage of the best option to travel to Machu Picchu at an unbeatable price, the best rate available only for a limited time, we have confirmed departures every day, Promotion valid only for purchases made from January 01 until February 15 (to travel on any date of 2019). This tour starts and ends in Cusco, for which the passenger must arrive at least one day before the tour. 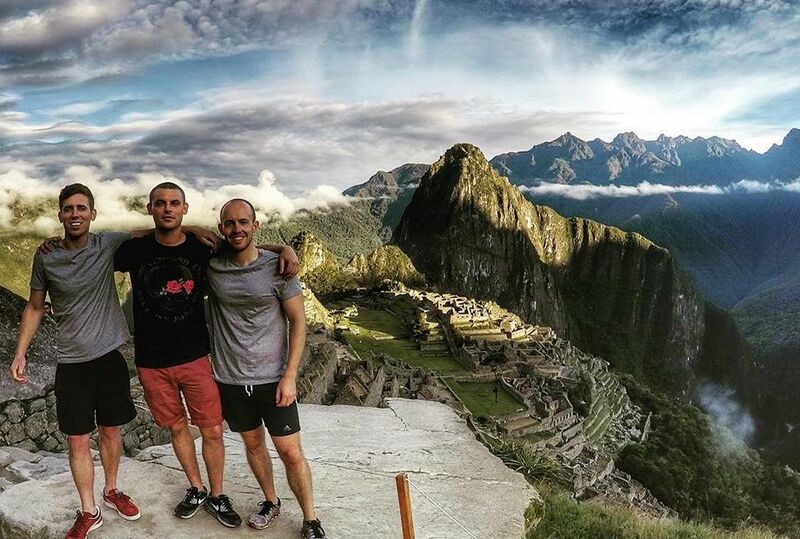 We book your entrance ticket to Machu Picchu, and extra entrance for hiking the two mountains (Huayna Picchu or Cerro Machupicchu) if you require it, you don’t need to waste time making a huge lines or queue or searching where you can get this ticket. 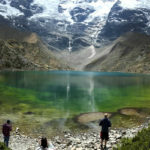 We will make you understand why you arrive in Machu Picchu; our tour guide will give you two hours guiding tour, the most accurate and updated information about this marvelous place to become your trip in a spectacular experience. We provide you a safe trip; all our services are organized with vehicles well acondicionated, all of them with all the permissions require to work in tourism, also all our staff are very well trained to give you the best trip. 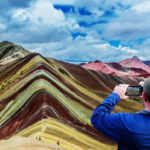 We give you facilities, you can make the payment in two parts, ONE when you book the tour and the balance once you arrive in Cusco, we accept safe payment methods as: PayPal, Credit or Debit card VISA or MASTER CARD, also you can wire money via Western Union or Money Gram. Pick up at your hotel in Cusco around 4:00 am. to take you to Ollantaytambo train station (This trip lasts 1 and a half hours on a minibus), from here you will take the train to Aguas Calientes the town of Machu Picchu, on the way, you will find beautiful landscapes of the Andes, as well as typical villages with local people who carry out their daily life, After an and a half hours trip we will arrive in Aguas Calientes (Town of Machu Picchu), right there, our transfer staff will be waiting for you to take you to the bus station, there you will take a bus to go up to the archaeological site (25 minutes trip), When you arrive, you will a short free time to use the toilet and get ready for the magnificent visit then you will start the tour, First you will be walking receiving important information from our tour guide for approximately 2 and a half hours, this guided tour will be around the main places of the citadel, starting at the highest point (the guardian's house) this is the place where you can take the classic picture that appears on the postcards and magazines, then we will walk around the agricultural area, the Llaqta Punku (The main entry or the main gate), Store houses, Sun temple, water fountains, The Inca house, Principal plaza, temple of the Three windows, Intiwatana, Wayranas Zone, the gate of Wayna Picchu, industrial Zone, water mirror, The Condor temple; once you finish the guided tour you will have free time inside the park to enjoy this wonderful piece work of human engineering, recharge yourself with energy of the Mother earth and have time to take picture and explore Machu picchu by your own; then you will take a bus to go back in 25 minutes to Aguas Calientes, where you will have free time to have lunch and visit the small village of "Machu Picchu pueblo"; in the afternoon around 18:30 hrs. you must be at the train station to take the train is going to bring you back to Ollantaytambo (one and a half hours trip); once you arrive our driver will be waiting for you with your names to bring you back by bus to Cusco, approximately arrival 22:30 hrs. (You can request an earlier train with an extra cost). Briefing: A day before the tour we give you detailed information about your itinerary, where we also give you all the tickets that you will need on the trip, maps and all the relevant information that you have to know, this can be at your hotel or in our office INKA TIME. Tourist transportation: Hotel (Cusco) - Train Station - Hotel (Cusco), these services are provided with minibusses of 15 or 20 people (Renault Master or Sprinter Mercedes Benz). 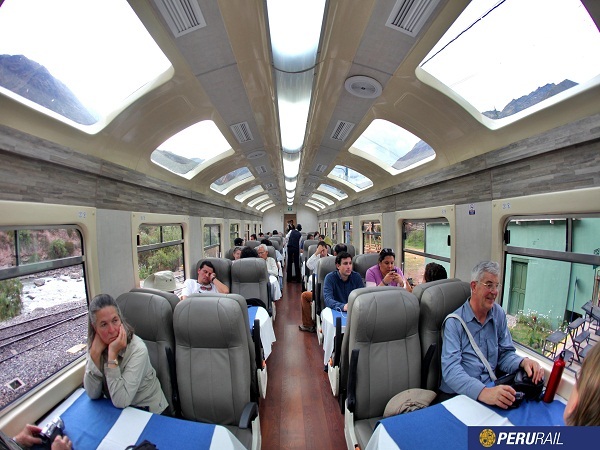 Train Tickets (Round Trip): We will book and get ready your ticket to go and back (VOYAGER TRAIN - INCARAIL or EXPEDITION TRAIN- PERURAIL). Bus Tickets: We will have ready your ticket to go up and down from Machu Picchu. Entrance Fee to Machu Picchu: You will have reserved the most important "your Machu Picchu entrance ticket". Professional Guide: Our tour guides will give you the most updated information you must know and they will show you the best places you have to see and pass by this beautiful and unforgettable day in Machu Picchu. Permanent Assistance: Our staff will be monitoring your step by step on your trip all the time, we are checking that everything is running well with you. Meals: (There are plenty of restaurants from US$ 8). Tips: This is Optional, our staff is well paid, that is why this is not indispensable or expectant for them, any amount will be very appreciated and welcome. US$ 25.00 Off for those people belong to Andean Comunity (Perú, Colombia, Ecuador y Bolivia). US$ 20.00 Off for those students with Under graduated student card, (this ID must be made in PVC material and it must have the next requirements: university information, personal student information, student picture, and expiration date valid only for one year, it year must coincide with the year that student visit Machu Picchu, the discount until 25 years old. ), the ISIC cards are not valid any more. US$ 20.00 Off for those under 18 years old. US$ 115.00 Off for those children under 8 years old; kids under 3 years old don't pay anything if they don't have a sit on the busses and train. According to the new regulation of Sustainable Use and Tourist Visit for the conservation of the Historic Sanctuary of Machu Picchu 2019, the entrance ticket to Machu Picchu is valid only for a single entry to the park (this means: The passenger enter, walk around, go out and can not re-enter again), usually all people stay between 4 to 5 hours into Machu Picchu, if you would like to stay a longer time, you must buy another ticket (US$ 50.00 Extra), the park is open until 17:30 hrs. The price is for a group tour (share service), groups of 16 people in Machu Picchu. Original Passport (This is requested to take the trains, the buses and to get into Machu Picchu). This service in a GROUP TOUR means that you will do the tour with other people, This standard service has 15 to 19 participants, that doesn't mean you have to get that quantity of people to do the tour, we have confirmed departures every day, so, If you are only one or two people do not worry, you can join some of our groups. "BEST VALUE PER PERSON: US$ 260.00"
Train to return at 16:12 hrs. 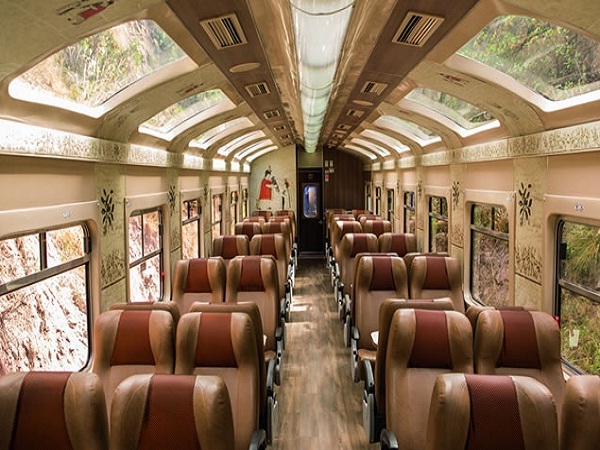 TRAIN 360° Inca Rail (From Aguas Calientes to Ollantaytambo) US$ 30.00 (Per Person); This is another class of train with Taller and wider panoramic windows and an outdoor observatory wagon with bar, this has an excellent schedule, you will arrive in Cusco around 20:20 hrs. Train to Return at 16:43 hrs. TRAIN VISTADOME - Peru Rail (From Aguas Calientes to Ollantaytambo) US$ 35.00 (Per Person); This is another class of train with panoramic windows located beside and above your seat will bring you close to nature unlike anything you’ve experienced before, this has an excellent schedule, you will arrive in Cusco around 21:00 hrs. STEP 1: SEND YOUR INFORMATION"
Complete the booking form or send data of all the travellers to info@inkatimetours.com as Full name, passport number, nationality, date of birth, or a copy of passports (in the case of Peruvians is necessary a copy of a current ID, the same for those students, a copy of the current Valid Student card, this to get the discount); and the information about arrival and departure flights; Our privacy policies are strict, INKA TIME will use this information exclusively to nominate the reservation tickets, we never share this information with third parties. STEP 2: MAKE A DEPOSIT"
Choose the best way to pay and make a deposit, for this one day trip by train to Machu Picchu deposit must be US$ 200.00 per person; There are 03 ways to pay: Wire money by Western Union, payments via "PAYPAL" and with debit or credit card VISA or MASTER CARD (these last two options have an 8% fee), any extra commissions or fees charged must be assumed by the customer; when you send your information you have to specify the payment method you would like to use, then when we mail you back we'll send you a payment request, the balance should be paid in our office in Cusco at most a day before your tour, this can be by cash or by credit or debit card (if you choose this second option of payment, you must add 8% of the total amount to pay). Upon receipt of all passenger(S) data and once we received information of your payment, we will send you your receipt (VOUCHER OF RESERVATION), at this moment your reservation will be guaranteed in a 100%. (this will be sent at most in the next 8 hours considering our business hours GMT - 5). The tour you are booking is: MACHU PICCHU TOUR 1 DAY (BEST PRICE). If you don't have this information yet, do not worry, you can send this info to our email two days before your tour. When would you like to start the tour? Please write in the next order: First name and Surname (as written on passport), Passport Number, Nationality, Age and Gender of all the travellers. The tour without the completed form and the required payment, We will send you a confirmation email with a payment request depending on the payment method you choose. We have been awarded with Certificates of Excellence in Trip Advisor, we also have a large number of customers who come recommending our services..